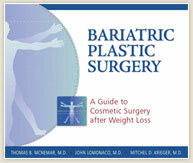 Dr. McNemar frequently offers and participates in weight loss seminars throughout the Bay Area and Northern California. Please check back for dates of upcoming seminars to help you learn more about weight loss options. For more information, contact Dr. McNemar online or call (925) 866-0177 for our San Ramon office or (209) 834-0626 for our Tracy office. Board certified plastic surgeon Dr. Thomas McNemar specializes in performing plastic surgery for weight loss surgery patients in San Francisco, Oakland and throughout the Bay Area. He has two offices in the Bay Area and serves patients from Walnut Creek, Stockton, San Jose, Oakland and San Francisco.